FULL SIZE, MINI AND "DRINKLESS"
PLEASE NOTE! 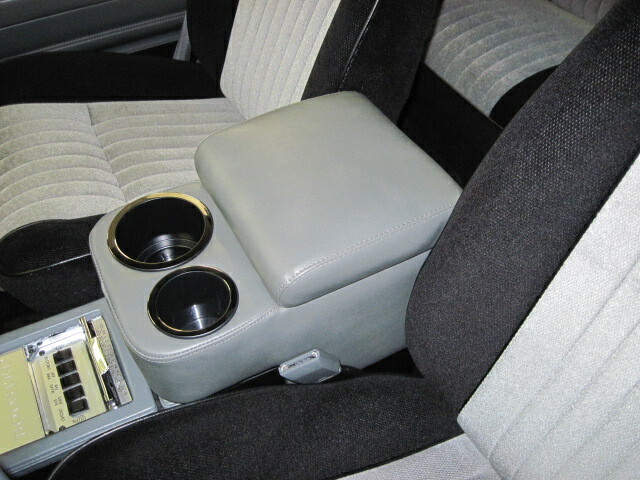 The drink holder section of the console riser will cover the ashtray area of the console. If you are running one of our ashtray switch panels, your switches will NOT be readily accessible. 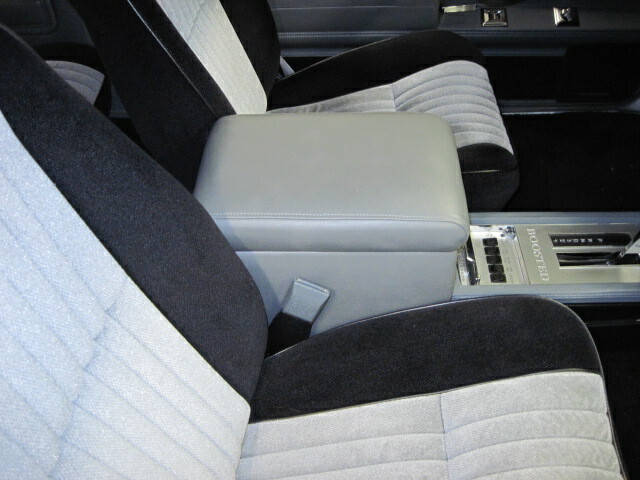 But, for a long trip one of these will give you a place to rest your elbow and a place to put your choice of beverage. You can slide it back a bit to uncover the switch area OR order one of the shorty style models. Available in graphite (stock gray color) ,black or Two-Tone (Black& Graphite), Maroon, Blue, Tan and IVORY automotive grade vinyl. Maroon, Blue, Tan and IVORY are made to order and take a bit longer to ship out. 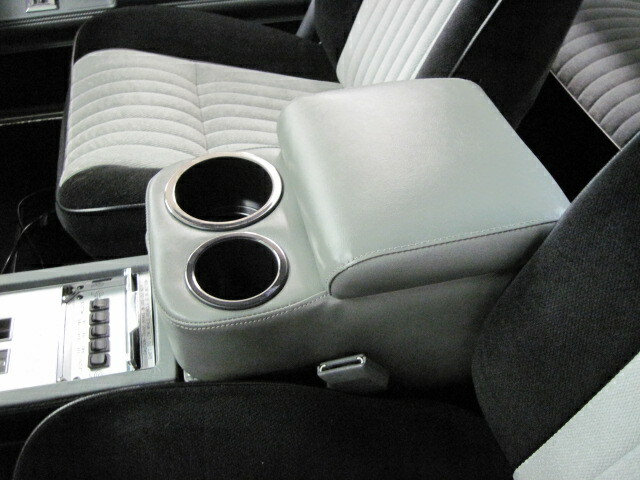 We are proud to announce the introduction of a new combination Console / Armrest / Drinkholder, expressly designed for the 1984-1987 Buick Turbo Regals. 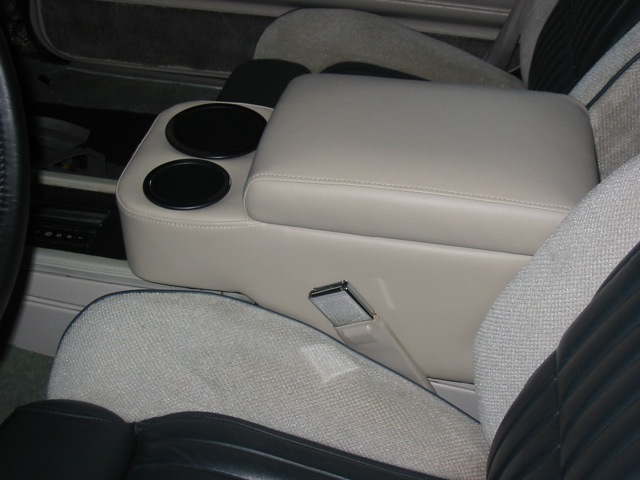 This console riser is NOT a cheap plastic replacement cap, instead its a newly manufactured padded console/armrest with Dual Cup Holders. Installation is fast and simple! No tools needed. Simply slip the Roadster down over the factory console and slide forward. Going to a show? 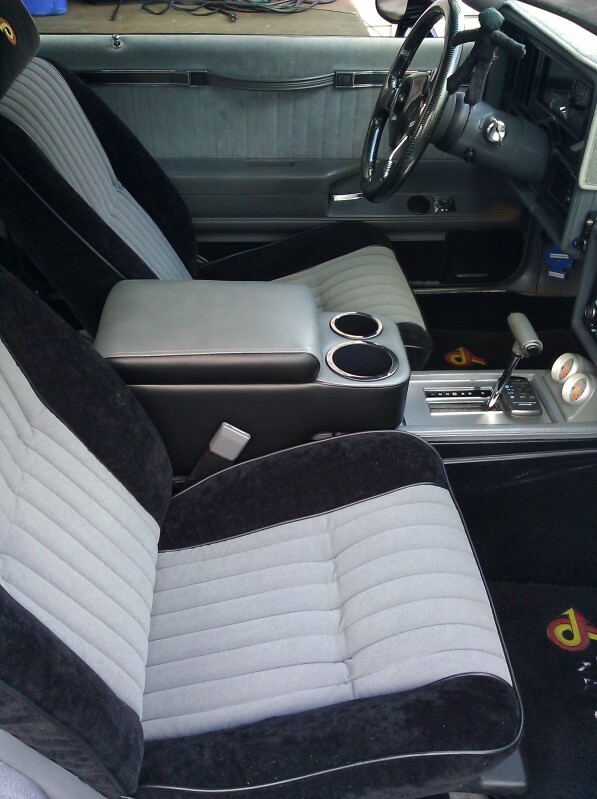 Removes in seconds for that original look, reinstall in seconds for SAFE spill free cruising. 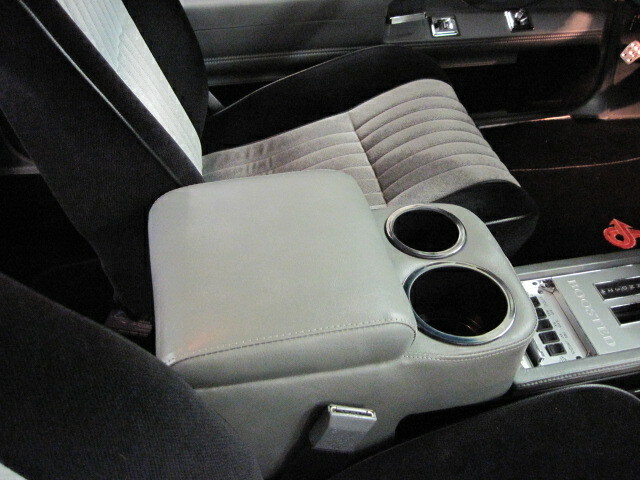 These are NOT designed for doing 10 lb boost launches with a Big Gulp soda in the cup holder! Your factory storage compartment becomes a hidden compartment for storing valuables and other rarely used items out of site. 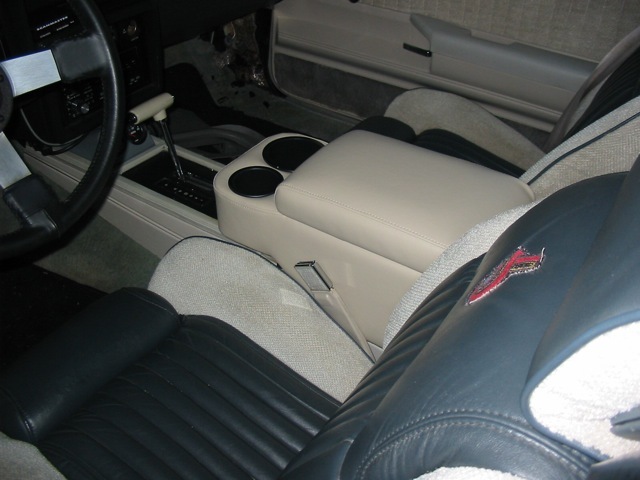 Access the factory storage compartment simply by lifting up the console riser. This feature gives you two storage compartments! 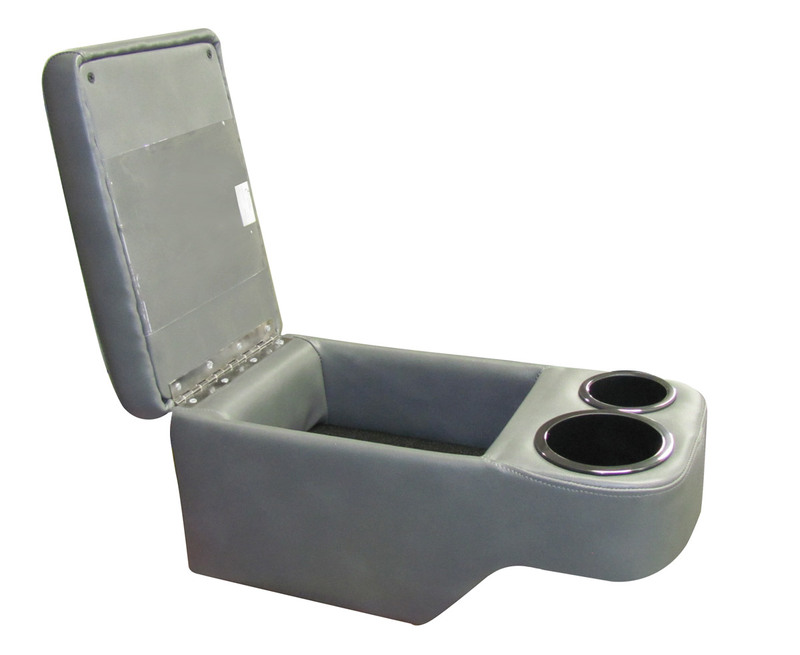 Console riser is designed to fit 84-7 Turbo Regals with full length console. 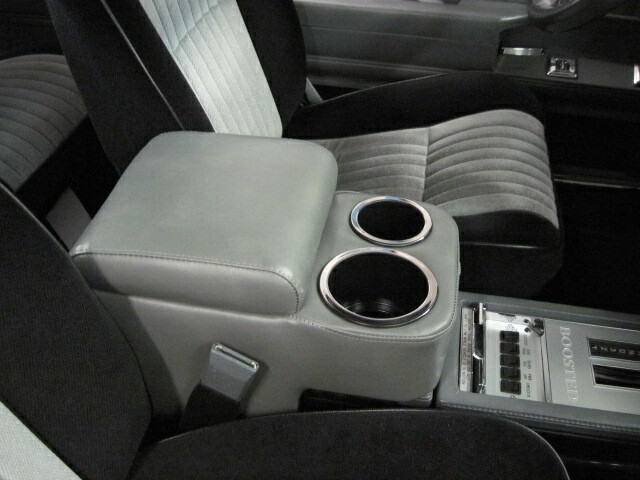 Features two chrome accented cup holders. 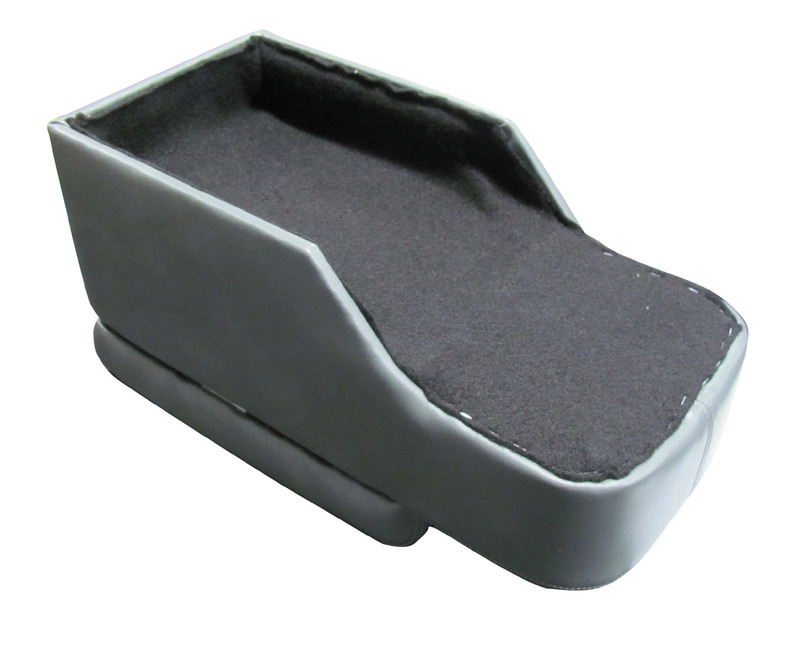 Felt Lined storage compartment, for items such as sun glasses, pens, cell phones and a Coin holder etc. Also has a pouch on the inside of the lid to store your registration and insurance cards. Installation is fast and easy NO PERMANENT alterations or tools needed. 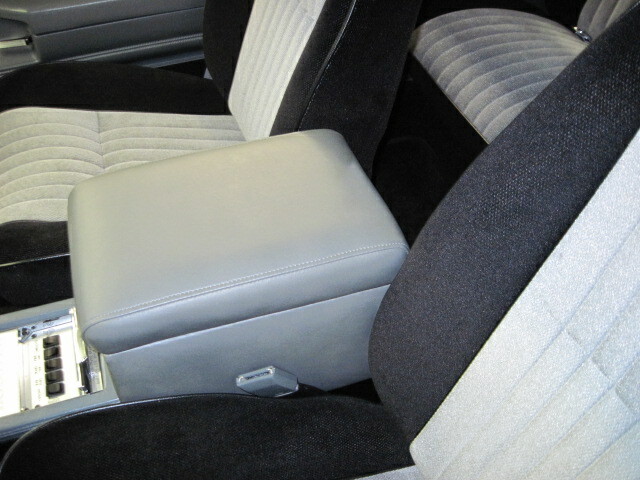 The bottom of the console riser is upholstered in a "non-slip" material. 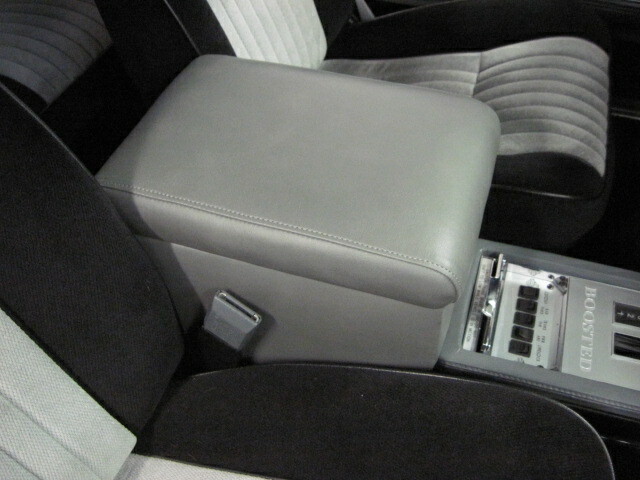 Stock console door stays intact and now provides a "hidden" storage area. Color choices to choose from. Graphite (stock GN color) Black, Two-Tone, Maroon, Blue, Tan and IVORY, select from drop down menu below in the ordering box. New addition! We now have a SHORTY version that allows the use of the ashtray or if you have a switch panel installed where the ashtray used to be! Select from the drop down menu. Below pics show one installed on my own GN. Recently had a customer order an IVORY console riser and the match is pretty close. 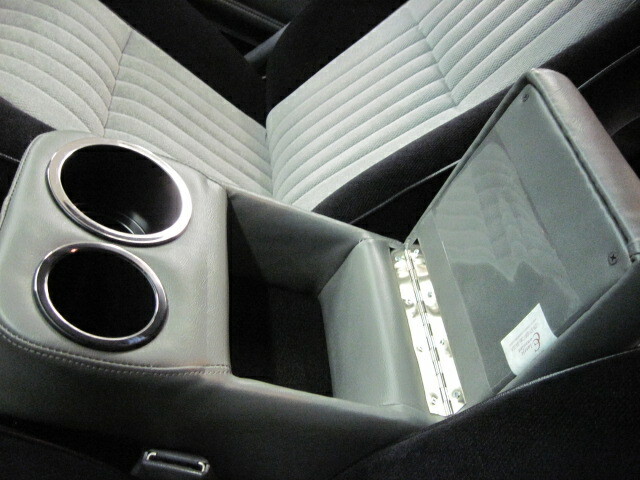 Here are some pictures of the console riser installed in his car. Special thanks to David Christianson for supplying these pics. Only available in black or graphite colors! Well, we have another version of the console riser now available! This is for the Turbo Regal owner how wouldn't think of having any beverages allowed in their car. 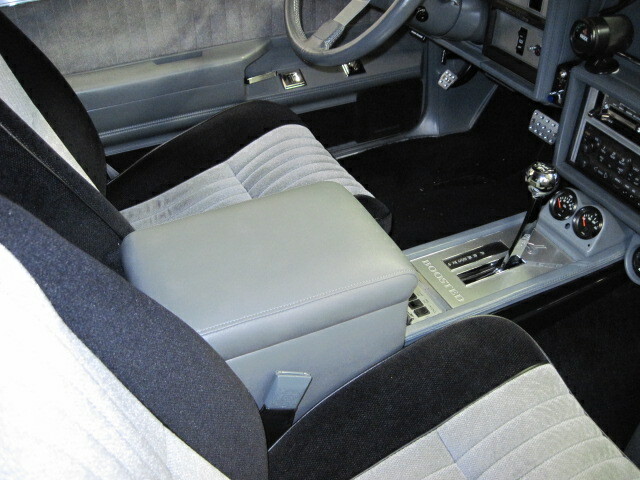 Still allows use of the ashtray area if you have a switch panel there and more room to rest your arm. IMPORTANT! Make sure you order the correct size console riser from the drop down menu below. 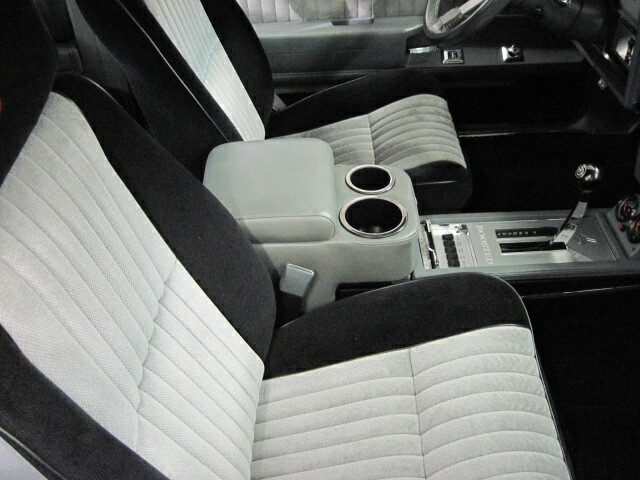 The MINI version will still allow use of the ashtray area if you have a switch panel located there or is you want to use the ashtray for it's original purpose! Not responsible if you choose the wrong size OR color.